Computers play such an important role in our lives today. Whether it’s our kids playing computer games, our teenagers connecting on Facebook, or our parents enjoying a series on Netflix, computers are used by people across all ages and walks of life. from doctors and writers, to designers and receptionists – not to mention those working in tech – computers also enable us to learn, organise and communicate within our working environment better than we ever have before. But did you know that computer use is one of the most common causes of a repetitive strain injury (RSI)? Typing and using a computer mouse require small, precise repetitive movements that over time can cause irritation and discomfort in the hand, wrist and fingers. This discomfort can quickly turn into the beginnings of a painful RSI, such as carpal tunnel syndrome or tendonitis. 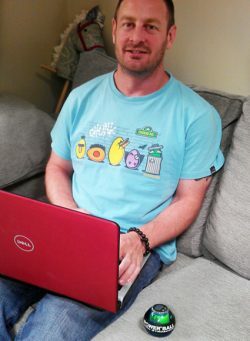 Pain or discomfort as a result of regular computer use? In the case of most jobs, not working with a computer means not working at all and so, when you have a computer-related RSI, it’s not that easy to do as the doctor says and just “rest up for a couple of weeks”. 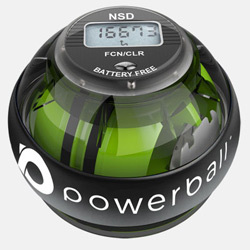 Powerball is an effective hand exercise device that targets and strengthens specific areas of the upper body, including the fingers, hand, wrist, arm, elbow and shoulder. 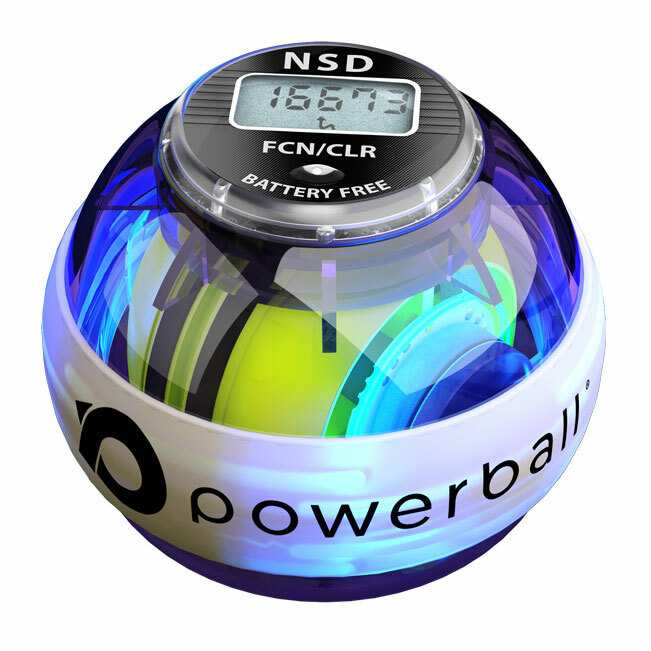 Spinning Powerball at slow speeds for as little as 3 minutes each day is enough to effectively rehabilitate and cure an RSI injury. This is due to the gentle, non-impact resistance generated by Powerball, which promotes the flow of blood around the upper body. This blood contains healing, oxygen-rich nutrients which relieve pain and rehabilitate the damaged joint. 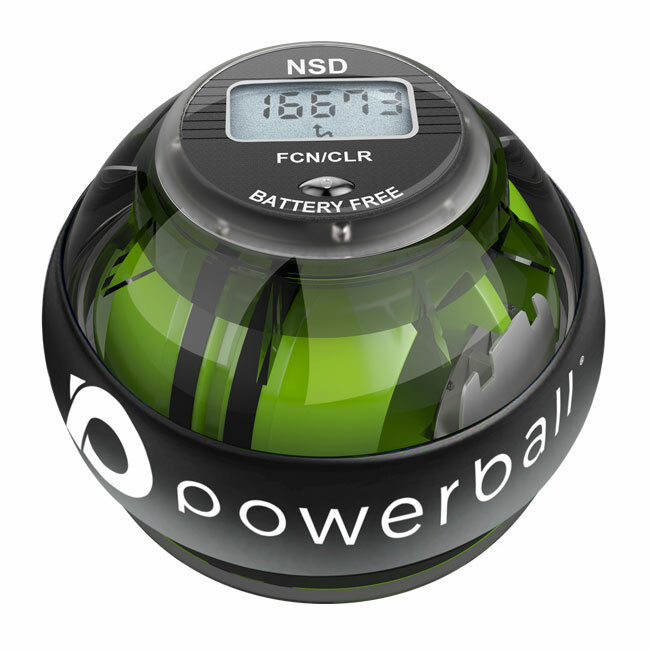 Not only that, but the isometric resistance created by Powerball also strengthens the joint for long-lasting results. 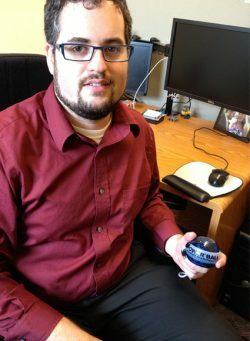 Use Powerball at home or in the office to combat and cure a computer-related RSI today. How exactly does regular computer use cause RSI? The fine and precise hand and finger movements needed to operate a mouse and keyboard repeated thousands of times daily (overuse) causes strain and microscopic tearing of the forearm muscles, which power the wrist, hands and fingers. 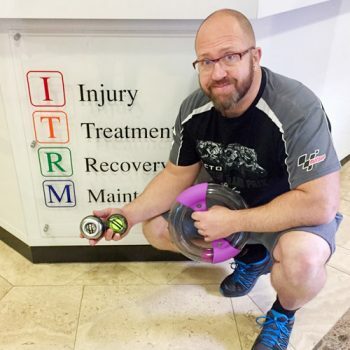 Injured muscles tend to contract, causing decreased range of motion and tendon inflammation at either the elbow or wrist joints (or very often both). 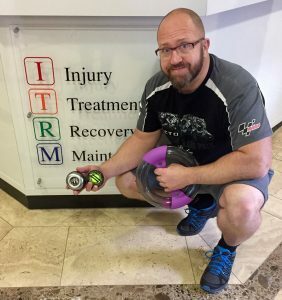 Inflamed tendons may additionally compress the median nerve running through the carpal tunnel in the wrist and bringing with it severe hand pain and numbness (a condition commonly known as carpal tunnel syndrome). 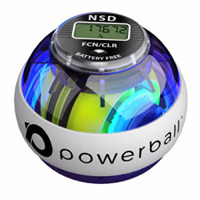 Using Powerball for 2-3 minutes several times daily will alleviate the symptoms associated with RSI from computer use. It will also help guard against future problems by keeping your wrists and arms supple and strong. 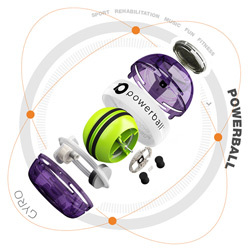 Powerball’s isometric exercise efficiently stretches out and exercises the forearm flexors/extensors, increasing strength and flexibility in these muscles and joints through the non-impact resistance it generates as it spins. It also increases joint range of motion and blood flow, driving oxygen and collagen-healing nutrients into the tissue to help significantly reduce inflammation. 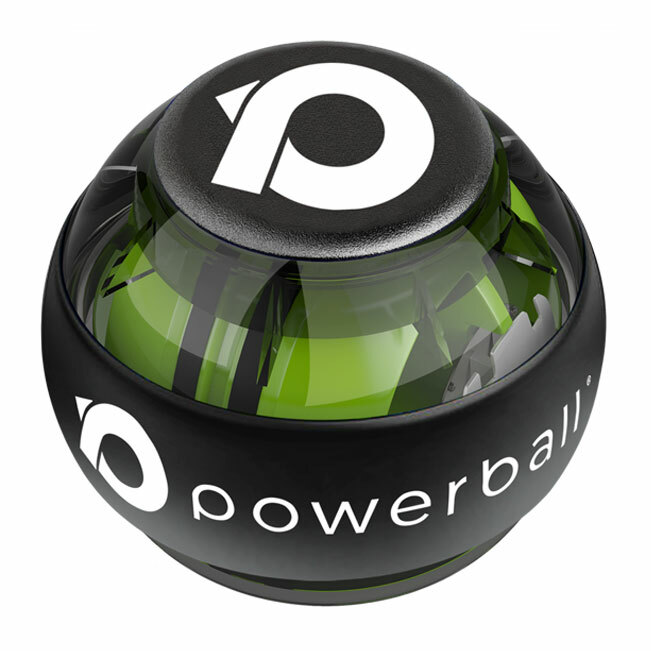 At only the size of an apple, Powerball is perfect for the office and can sit discreetly on your desk or in a drawer. Ergonomic keyboards and braces will only plaster over the cracks, whereas Powerball goes directly to the root cause in repairing the damage done by repetitive computer use. What’s more, Powerball produces very little noise (check out our whisper-quiet Diablo and Titan models) so you can spin quietly at your desk without worrying about disrupting your co-workers. 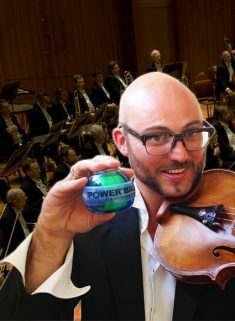 Whether you use it for regular strength training, rehabilitating an RSI or simply to boost blood flow during periods of inactivity, use Powerball in the office and at home for a healthier and pain-free working environment.